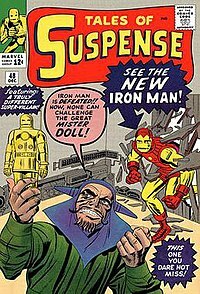 Throughout most of the character's publication history, Iron Man has been a founding member of the superhero team the Avengers and has been featured in several incarnations of his own various comic book series. 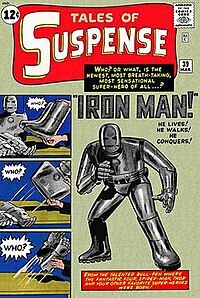 Iron Man has been adapted for several animated TV shows and films. 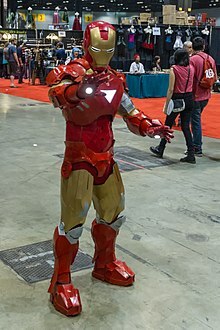 The Marvel Cinematic Universe character is portrayed by Robert Downey Jr. in the live action film Iron Man (2008), which was a critical and box office success. Downey, who received much acclaim for his performance, reprised the role in a cameo in The Incredible Hulk (2008), two Iron Man sequels Iron Man 2 (2010) and Iron Man 3 (2013), The Avengers (2012), Avengers: Age of Ultron (2015), Captain America: Civil War (2016), Spider-Man: Homecoming (2017), Avengers: Infinity War (2018) and will do so again in Avengers: Endgame (2019) in the Marvel Cinematic Universe.